Ukraine leans slightly more towards the eastern part of Europe bordering Russia along the east and a whole host of countries. Only the north-west is vacant and that’s because the Black Sea is there. 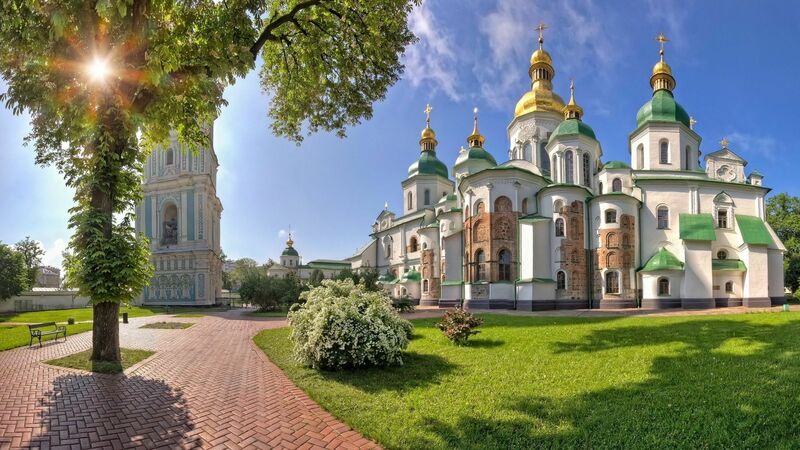 The capital Kiev (not named after the much loved Chicken Kiev) is home to leafy hills and wonderful architecture. The Orthodox and Baroque styles can be recognised by those tourists who are experts in architectural styles in the Saint-Sophia Cathedral. Lviv centre is also a World Heritage Site listed by UNESCO, worth seeing if you’re in the city. Hikers will fancy long walks surrounded by gorgeous scenery through the Carpathian Mountains near Rakhiv. Standing at just over two thousand metres tall, it is definitely conquerable for novices who fancy their chances. But remember if your afraid of heights just forget you read this part of the tour guide! The Crimea Peninsula home to wonderful beach resorts will alert the attention of tourists. The region is favoured by Russian tourists especially and may be very crowded but you will nonetheless enjoy what it has to offer in the summer. Worth remembering for tourists from Western Europe is not to use Dollars, British pounds or Euros. The local currency is Hryvnia and the best exchange rates are in Kiev. So unless you want to be losing your money to local con artists and dodgy dealers come prepared with Ukrainian currency via legitimate means such as airports where you will find currency exchangers.